In response to my post earlier this week in which I included some links about licensing your art, I received a comment from artist and designer Tara Reed, introducing her incredibly comprehensive website introducing the world of art licensing. Thanks so much for sharing your expertise, Tara. I’m very interested in what you have to say on the subject of licensing. My limited experience has been successful and rewarding, and some day I want to pursue it further. 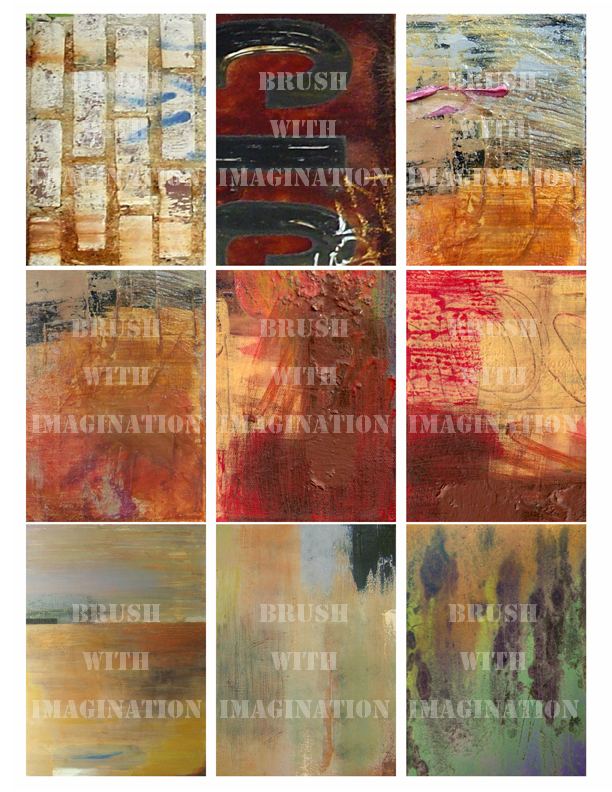 The image shown below is a downloadable digital collage sheet of mine that can be used by other artists to make aceo’s or incorporate into other art projects. This is a small example of licensing, in which the image is sold to another artist for their own use. Other sheets like this one and images for jewelry making and collage are sold in my Etsy shop brushwithimagination. These are sold without the watermark, of coure! Thank you, Martha, for letting your readers know about the resource! Look forward to getting to know you better! Tara, I’m looking forward to seeing more of your website when I get some delicious “me” time! Yes, I know what you mean. I need to do that too.